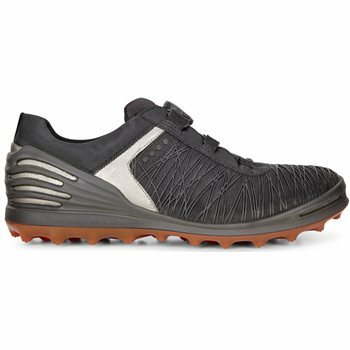 The Ecco Cage Pro Boa spikeless shoe features the BOA closure system, SPYDR-GRIP, HYDROMAX and comfort for a wider foot. The BOA closure system ensures the ideal fit with an easy adjustable dial that also make lacing the shoe easy and quick. The new performance outsole includes SPYDR-GRIP, an organic design that offers improved grip and traction on the course. The Organic design is soft on greens and delivers unique Ecco comfort. The lightweight and breathable textile upper is bonded with a flexible and durable PU structure. The breathable upper is treated with HYDROMAX for water-repellant while the PU structure offers flexibility and stability. The one piece direct injected PU stability cage that wraps from the heel through the midsole and across the toe box offers flexibility and stability as well. 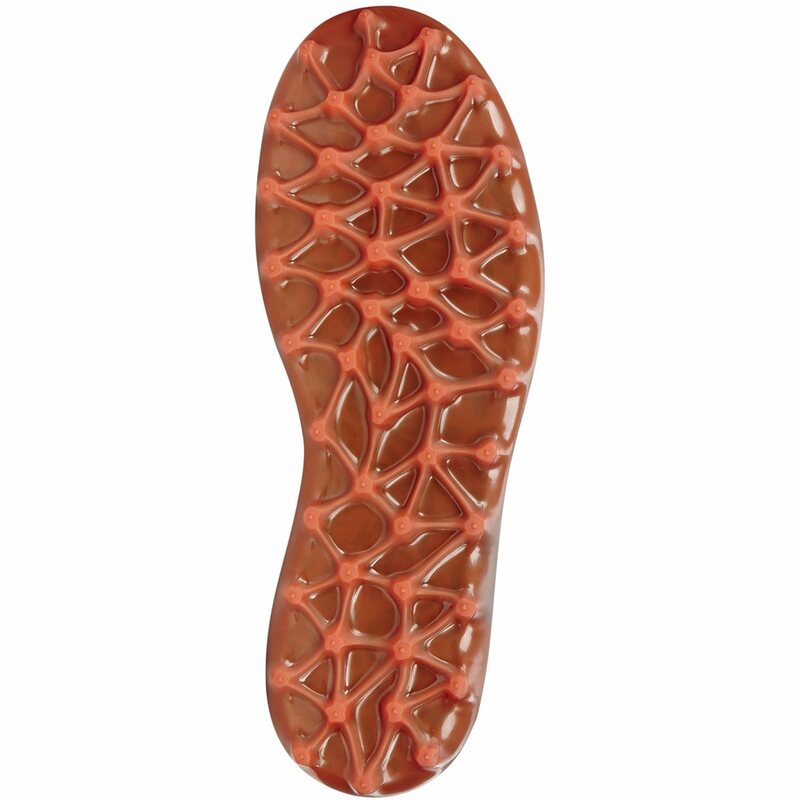 Another feature of the Cage Pro Boa shoe is the inlay sole that is removable, which provides extra room and comfort for a wider foot.